By the time the Election Commission finds answers to most cases of alleged poll code violations, crores of people would have cast their votes. Which could have been thus influenced. Promises, they say, are meant to be broken — the model code of conduct, by that same logic, is meant to be violated. And as the model of code of conduct is violated, the agency tasked with ensuring its strict enforcement is found seemingly clueless about how to deal with the violations. 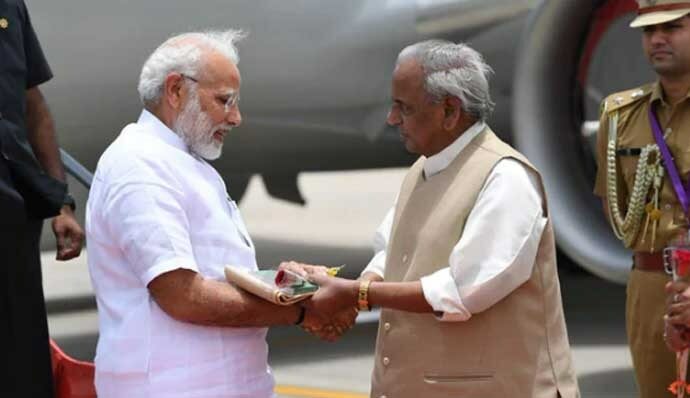 In March, former chief minister of Uttar Pradesh Kalyan Singh said Prime Minister Narendra Modi's re-election is a necessity “for the sake of the country” and society and every party member should work for it. “We are workers of BJP. Going by that, we definitely want the BJP to win. Everyone wants that once more, Modi ji should become PM. It is necessary for the country and the society that Modi ji becomes PM,” Singh reportedly said. Blinded by his ‘love’ for Modi, Singh forgot that he was serving as the governor of Rajasthan even as he was making that statement — the post of the governor is a Constitutional position and the governor is not supposed to be a political person. The Election Commission has written a letter to President Ram Nath Kovind, seeking action against Singh. The matter is thus pending with Rashtrapati Bhavan. The case with NITI Aayog vice chairman Rajiv Kumar, who has also been accused of speaking quite like a BJP spokesperson in the run-up to the 2019 Lok Sabha elections, is similar. Kumar had apparently dismissed the Congress’s promise of a minimum income of Rs 6,000 to the poorest 20% households, reportedly saying the party can “say and do anything to win elections”. When asked for an explanation, Kumar said he spoke in his personal capacity as an economist and his comments should not be interpreted as the Aayog’s stand on the Congress announcement. Now, why an economist should double up as an election analyst, predicting who will (or won’t) win an election and how, is anybody’s guess. Reports suggest the EC may censure him for his criticism of the Congress’ scheme. Kumar's statement is however in the public sphere now. And there was no deterrent in place which could have dissuaded Kumar from making such a statement at all. There is precedence as well here. Ahluwalia got away. And it seems like Kumar too will. In Uttar Pradesh, chief minister Yogi Adityanath has called the Indian armed forces “Modi ki sena”. The Adityanath act is notable particularly because the EC had recently reiterated the need for “strict compliance” with its 2013 advisory whereby parties, candidates and campaigners are to desist from “any political propaganda involving activities of defence forces”. The EC has sought a report on Adityanath’s remarks. The point is for a statement made in the public domain, with television cameras capturing the event live and it going viral on digital media thereafter, why shouldn’t there be immediate action, considering there is no point taking action against such statements well after elections? It is unfortunate that the EC is found grappling with the same questions every election season. The other area where the EC has been caught apparently completely unaware is NaMo TV. In a world where technology is advancing at lightening speed, it is strange the EC has been caught so unprepared to deal with this case. The criticism against NaMo TV, the channel exclusively featuring Prime Minister Narendra Modi's speeches and pro-BJP content, is that it is reportedly an "advertising platform". With poll expenses being fixed for all political parties and candidates, can such a thing be allowed? 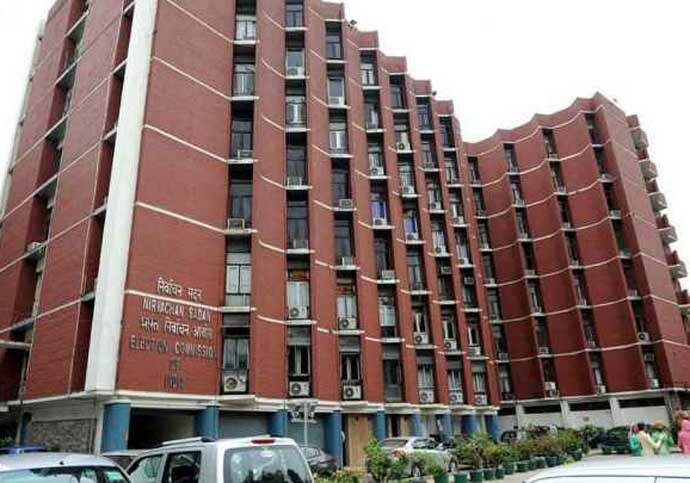 The EC has asked the Information and Broadcasting (I&B) ministry for a reply. Reports suggest the ministry is going to tell the EC that NaMo TV “is not a normal channel” and does not figure in the official list of approved channels of the ministry. It is not on the list of permitted private satellite TV channels on the ministry's website. “It is a kind of advertising platform launched by the service provider, currently being run on some DTH platforms,” sources said on Wednesday — the sources also said apparently no approval is required to run such platforms. By the time the EC arrives at an answer, many would have cast their votes. So, what happens if the EC finds this to be violations of the code of conduct? Of course, the EC most likely wouldn’t know that too.